If you want to get Paid High in the Programming world, which language to choose? If you want to get Paid High in an MNC, always choose Python! So, basically, we all know that programming is becoming one of the important parts of the computer world. Programming languages build Applications and websites professionally, and that is why it is highly demanded. But there are various programming languages, but which one is highly demanded and highly paid? Yes! Your guess is right, Python is! Yes, Python is highly demanded in the world. 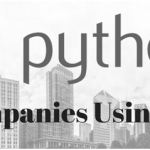 Its demand will increase tremendously in the coming years.So why learn Python ? \Let’s have a look below! 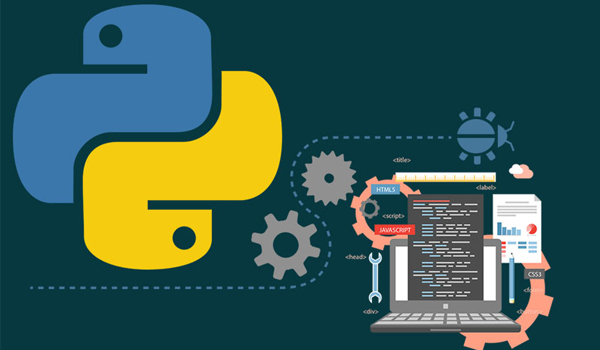 To Learn Python Click Here! Have you heard of Big Data? Big Data is a set voluminous and gigantic data. This huge data is complex and is quite important to the companies. Therefore, due to its huge size, it cannot be managed and maintained by simple data processing application software. 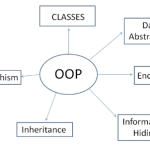 Therefore, Python can easily maintain them due to its generators – expressions and functions. These generators will allow easy, iterative processing of things, but one item at a time. The normal processing requires a list which takes up the memory. Therefore, the bigger the list, bigger the memory. This is a long time processing which needs to be applied to the data. The generators mentioned above, will grab the source data one at a time and then pass each source data through the processing chain. And larger data sets are created for applications, therefore, this tool is the best handling such large data. Python has been one of the fastest languages. It has been constantly been updated years over the years. And its current performance is great. Also, recently, the PyPy project seems to have taken a bold decision to speed up the Python programming to a whole new level. So if you want to be involved in a high-performance computing language, Python it is! Some benchmarks run faster than C or other coding language. PyPy has a Just-in-time compiler which helps the Python programs run faster. Your code will definitely run faster. And Python is memory hungry but can take less space than the CPython. And PyPy is highly compatible with python code. It also runs libraries like twisted and Django. It supports the stackless mode and provides micro-threads for massive concurrency. It is a broad language which is used in every field like system automation, testing, ETL to gaming, CGI and web development. Animation companies use Python to help broaden their creative process. Mozilla, a web browser also uses Python explore their code base and provides access to open source packages built in Python. The public package index for Python has 40K add-ons available. Therefore, with Python, you don’t have to start from the scratch. It is very easy language to learn. It is easier than C++ languages. The syntax of Python is easily readable. Python is very famous and reputed in the scientific computing. Therefore, people using this programming language are looked as a scientist first, and then programmers. And if you do start a company and working in a special field, learn Python and make clear decisions. You can hire Python experts like software engineers to help you out. If you want to empower your domain, use Python! IoT is the internet of things which will open great doors. Python can take advantage of this opportunity. IoT is making Python highly reputable with a platform Raspberry Pi. The Python has an open source license, which disallows any modifications and redistribution. The full source is available without any licensing cost. Therefore, it can save cost at a very compatible level. BigClasses is one of the best online training organizations offer Python training. We have qualified and experienced faculties who are responsible for taking the online sessions. We provide study materials and 24 hours support to our national and international learners as well. If you are interested inPython online training, contact us for the detailed course and the free demo classes. 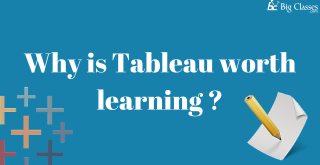 Why is Tableau worth learning?